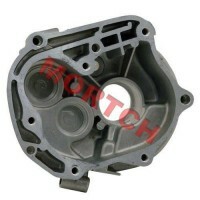 Mortch Motor parts supported the Brands of BAOTIAN, BASHAN, BENZHOU, CFMOTOR, CHARMING, DAYANG, DINLI, FUXIN, GEELY, GILERA, HANGLONG, HAOJIN, HAOJUE, HONGZHOU, HUATIAN, JIAJUE, JIANSHE, JINLUN, JMSTAR, JONWAY, KAITONG, KEEWAY, KINROAD, KYMCO, LIFAN, LINGBEN, LINGTIAN, LINHAI, LINTEX, LONCIN, LONGJIA, MAWI, MEIDUO, MOTORRO, PIAGGIO, QINGQI, RHON, RIEJU, SACHS, SHINERAY, SKYGO, SUKIDA, TAOTAO, VESPA, VONROAD, WANGYE, WONJAN, XINGYUE, XINLING, XINTIAN, YIBEN, YINGANG, ZHONGYU, ZNEN, ZONGSHEN, etc. 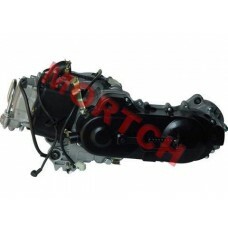 Type Single cylinder\4-strokes\forced air-cooled Model GY6-1P39QMB GY6-1P44QMC .. 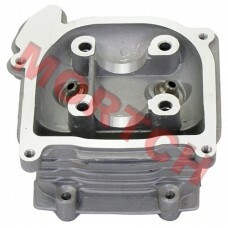 This is a new 4-bolt, Non-EGR Valve and Cam Cover for the GY6 50cc 139QMB engine. 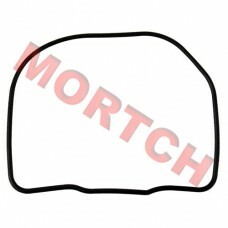 This cover comes complete ready to install. QTY in Box: 22PCs/CT.. 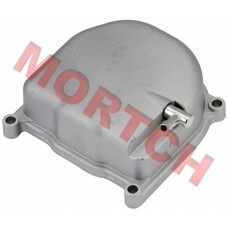 This is a new 4-bolt, EGR Valve and Cam Cover for the GY6 50cc 139QMB engine. This cover comes complete ready to install. QTY in Box: 22PCs/CTN.. This is the replacement Valve Cover Gasket/O-Ring for both the EGR and Non-EGR type Cylinder head for the 4 stroke GY6 50 139QMB engine.107*99*2.5mm..
50cc Cylinder Assy fits all GY6 139QMB engine, and it includes an aluminum cylinder, piston, piston rings and pin. QTY in Box: 12PCs/CTN ..
50cc Cylinder fits all GY6 139QMB/QMA engine QTY in Box: 12PCs/CTN .. There are 2 Cylinder Head versions being factory installed in GY6 scooter engines. 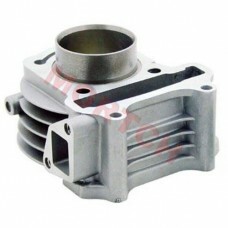 They differ only in the valve length. 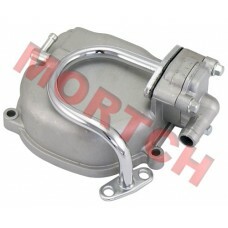 The old version ships in alm..
39 mm outer diameter piston for 50cc GY6 139QMB engines. 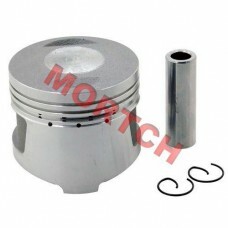 This is the stock size 39 mm piston for Chinese built 50cc GY6 139QMB engine. 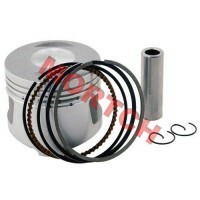 This piston ..
An excellent inexpensive replacement piston includes compression and oil control rings as well as gudgeon pin and clips. Piston diameter:39..
An excellent inexpensive replacement piston includes gudgeon pin and clips. .. 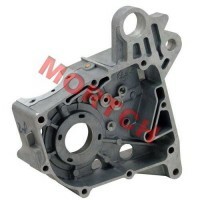 There are 2 Cylinder Head versions being factory installed in GY6 scooter engines. 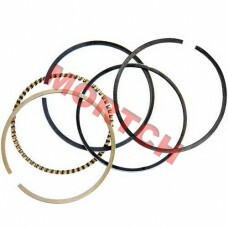 They differ only in the valve length. 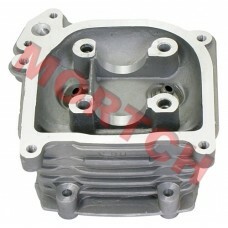 The old version ships in a..
An affordable 60cc replacement piston in standard quality for 4 stroke Chinese cylinders with 44mm bore. 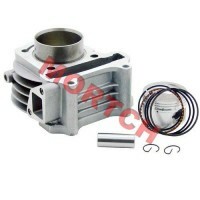 The GY6 replacement piston comes with pist..
50cc scooter cylinder kit is great for increasing overall performance on small underpowered 50cc GY6 QMB139 scooter engines. 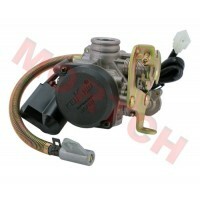 Engine kit increas..